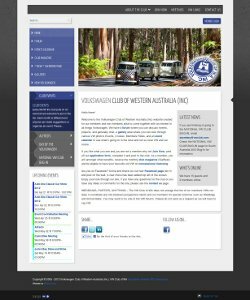 The VW Club of WA asked me about some changes to their Joomla 1.5 website. It made sense to to migrate the website to Joomla 2.5 now so that work would not have to be repeated later, and so that is what we have done. The excellent "Momentum" template from RocketTheme has been installed and customised for the web design. Much of the original layout has been retained but the new template is more versatile and allows the forums and events calendar to be displayed at the full width of the page, something that couldn't easily be done with the original template. The challenge with this project was ensuring that users and their associated gallery, forums and events data were all migrated together. A migration tool such as jUpgrade or SP Upgrade needs to be used to ensure that user IDs are the same on the source and the target website so that forum posts and so on are attributed to the correct user. I used SP Upgrade and at €24.95, this is excellent value. SP Upgrade migrates most of the Joomla core features including users, categories, articles, images, contacts, weblinks, news feeds, menus and even modules if you want. With the modules, you still have to install the Joomla 2.5 versions and usually choose new module positions etc as these are often different. Migrating JoomGallery, JEvents and Kunena are not so straightforward and these will likely be the subject of future blog posts. Update: Click on the links for the relevant articles. The website scored 7.3 in the Nibbler test tool at launch time which is reasonable. The social networking buttons that have been added to the website should help boost the score when members and visitors start clicking on them! 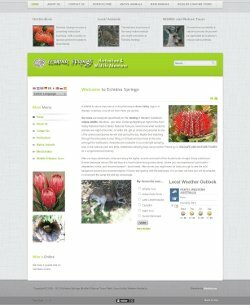 The folks at Echidna Springs decided it was finally time to upgrade their trusty Joomla 1.0 website and agreed that Joomla 2.5 was the best way to go. For the web design, the original layout has remained substantially the same but we have used the more modern "Camber" Template from RocketTheme. The website scored 7.6 in the Nibbler test tool at launch time which is a respectable score, even for an established website. 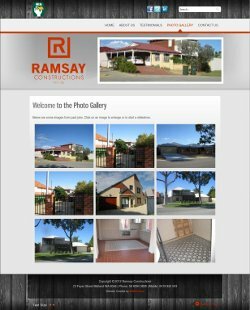 Ramsay Constructions wanted an online presence and trusted us to do the honours. As usual we chose Joomla as the best solution. Allan Ramsay is a quality home builder based in Midland in Perth. The "Enigma" template from RocketTheme has been installed and customised for the web design. As with most website projects we complete, the website code is W3C compliant. If we can't find suitable extensions that are W3C compliant, we often fix the code ourselves and provide the amended code to the extension developer to incorporate into the next release. This is our way of giving something back to the web development community, especially for free extensions. The website scored 7.1 in the Nibbler test tool at launch time which is good for a brand new website. Update: This has since been improved to 7.9. We recently launched a website for Mundaring Ecostay strawbale chalets. Online bookings using Rentalot Plus has since been added. 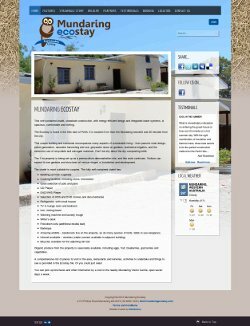 For the web design, the awesome "Momentum" template from RocketTheme has been installed and customised for this particular client with a seamless strawbale background image and a background image of the cottage itself. The main body and modules have been made transparent so that the cottage is visible in the background. C6 Media Solutions created the logo. Out of the box, this website is already achieving a Nibbler test score of 8.0 which is excellent for a brand new website. The strawbale chalet is very peaceful and is a great place to stay if you are looking for accommodation for yourself, friends or family or business in the local area. Contact Ross or Jenny Mars for details or to make a booking. Contact details are on the website. Joomla Best Open Source CMS Again!